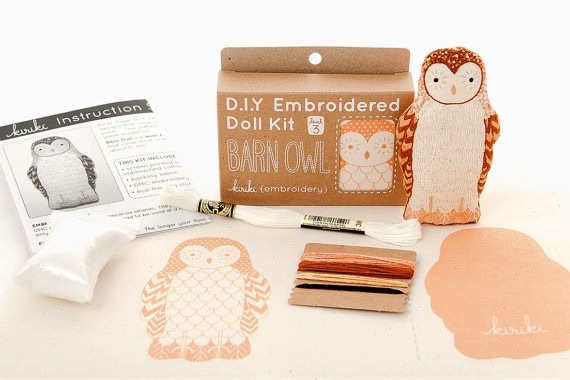 Home » Etsy Find ~ Sweet DIY Embroidery Animal Kits! 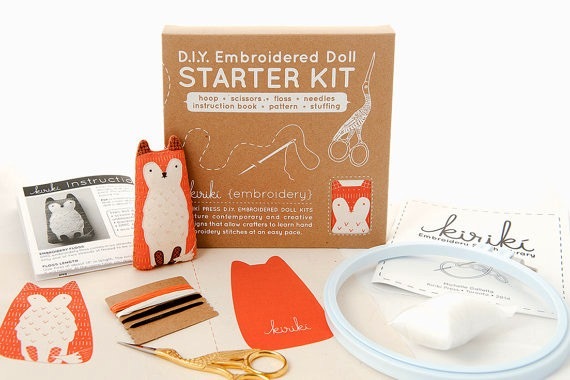 If you are looking to learn how to embroider or want to teach your son or daughter how to create their own cute pets Kirikí Press is a great shop to check out! Launched in 2012 by Michelle Galletta, Kirikí Press offers contemporary and creatively designed patterns. Michelle is an artist and embroidery enthusiast with a B.F.A. from the Ontario College of Art and Design University, specialized in Printmaking. 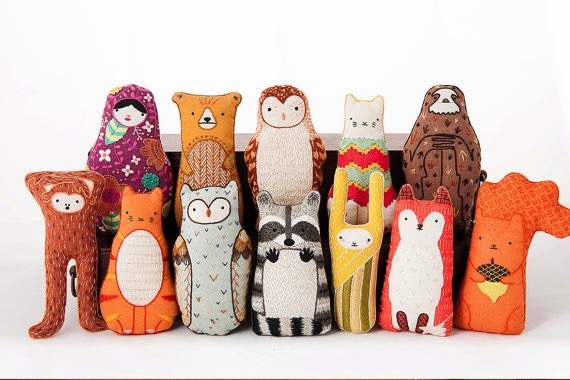 Located in Toronto, this Etsy shop features 15 different animals that parents and kids can construct together. 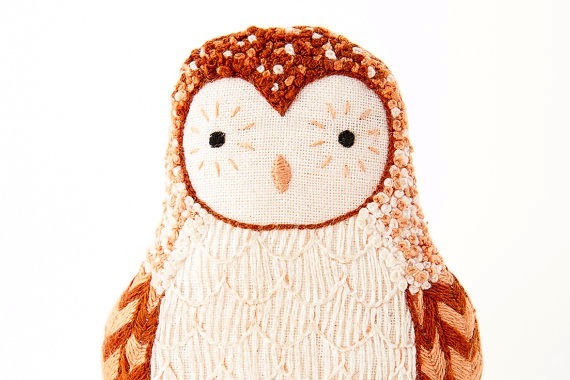 The patterns come in a range of skill levels, allowing even first-time embroiderers to create beautiful, heirloom-quality dolls and other designs. Kirikí Embroidery Stitch Library: an illustrated instructional book detailing all of the stitches used in Kirikí patterns, as well as tips and tricks for perfecting your stitches. The starter kits retails for $57, but once you get the hang of it each additional animal is only $26.